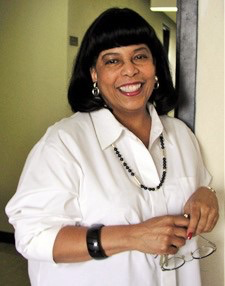 Bettye Collier-Thomas, Professor of History at Temple University, received her PhD in United States History from George Washington University in 1974. Appointed by Joseph Duffy, head of the National Endowment for the Humanities, as a Special Consultant to the division of Public Programs (1977-1980), she developed NEH’s first program of technical assistance to black museums and historical organization; and became a founder and officer of the National Association of Black Museums and organized the” First National Conference on Black Museums.” In 1985 President Ronald Reagan appointed her to the National Afro-American History and Culture Museum Federal Commission for which she served as vice chair and wrote the final report. Collier-Thomas is the founder and served as first executive director (1977-1989) of the Mary McLeod Bethune Memorial Museum and the National Archives for Black Women’s History (designated by Congress a National Historic Site and now managed by the National Park Service). With the support of NEH, Collier-Thomas organized the much praised conference — “Black Women: A Research Priority: The First National Scholarly Research Conference on Black Women in America,” which was held in Washington, D.C., November 12-13, 1979. She served as 1989-2001 inaugural director of the Center for African American History and Culture at Temple University. She has taught at Howard University, the University of Maryland Baltimore County, and Temple University. She was a 2011-2012 Public Policy Scholar at the Woodrow Wilson International Center for Scholars, the 2011 Jolyon Pitt Girard Distinguished Scholar-in-Residence at Cabrini College, the 2012 Visiting Scholar in Women’s and Gender Studies at Drew University and a Princeton University Center for Religion Visiting Fellow (2003-2004). She was a Finalist for the C. V. Starr Center for the American Experience 2013-2014 Patrick Henry Writing Fellowship. A specialist in 19th and 20th century U. S. History and African American History, Collier-Thomas’s research and writing focuses on women, religion, and theatre history, civil rights, partisan and electoral politics. Her books include Jesus, Jobs, and Justice: African American Women and Religion (2010); Daughters of Thunder: Black Women Preachers and Their Sermons, 1850-1979 (1998). She is also co-editor of Sisters in the Struggle: African American Women in the Civil Rights-Black Power Movement (2001), African American Women and the Vote (1997), Vindicating the Race: Contributions to African-American Intellectual History (1996), and co-author of My Soul Is a Witness: A Chronology of the Civil Rights Era, 1954-1964 (2000). She is the compiler and editor of A Treasury of African American Christmas Stories, Vols. 1 and 2 (1997, 1999). She has also published over fifty articles. Collier-Thomas has received many commendations, book prizes, and awards for her scholarship. Her most recent publication – Jesus, Jobs, and Justice, has won book prizes from the Organization of American Historians (2010), the Association of Black Women’s Historians (2010), the National Women’s Political Caucus (2010), and the Temple University Faculty Research Award (2013). Described as “groundbreaking” and “a tour de force, Jesus, Jobs, and Justice was one of three books authored by African Americans, two of which were authored by African American women that were reviewed in the New York Times, between 2008 and 2010. In 2010 it was a New York Times “editor’s choice.” Sisters in the Struggle: African American Women in the Civil Rights-Black Power Movement was a 2002 Choice Outstanding Book. Collier-Thomas is the recipient of numerous awards and honors, including the Association for the Study of African American Life and History’s Carter Godwin Woodson Distinguished Scholars Medallion (2001); the U. S. Department of the Interior’s Civilian Conservation Service Award (1994) for founding the nation’s first museum and archives for African American women. In 1995 she received the American Immigration History Society’s Carleton Qualey Prize, for the best article published in the Journal of American Ethnic History. In 1997 she received the Association of Black Women’s Historians Letitia Woods Brown Anthology Award for African American Women and the Vote. In 1998 she received The National Black Women’s Political Caucus’s Shirley Chisholm Award for Scholarly Excellence. In 1998, she received the Alpha Kappa Alpha Sorority’s Septima Poinsett Clark Award for Daughters of Thunder: Black Women Preachers and Their Sermons. Collier-Thomas has received multiple research and writing grants from the Lilly Endowment (1991-1998, 2001-2002, 2003-2004), the Ford Foundation (1972-1973, 1999-2001, 2003-2004), the Rockefeller Foundation, and the National Endowment for the Humanities (1979, 1980), and has held fellowships at the Woodrow Wilson International Center for Scholars (2008-2009), the National Humanities Center (2001-2002 and 2014-2015), and Princeton University Center for Religion Visiting Fellow (2003-2004), and was a finalist for the C. V. Starr Center for the American Experience’s Patrick Henry Writing Award (2013). She recently completed a year and a half appointment (2011-2012) as a Public Policy Scholar at the Woodrow Wilson International Center for Scholars where she worked on her current book project “‘In Politics to Stay’: The History of African American Women and Politics.” As a 2014-2015 National Humanities Center Fellow she will continue this work.